UPDATE: April 1, 2019. Sister Joyce Trentham was discharged from hospital March 25 and is at home. The wound where surgery was done to clean abscess is healing really well. She is now on Sanctuary Home Hospice Care and able to get all she needs at present. Sister Joyce Trentham had to be taken to the ER by her daughter, Melinda today, 3-21-2019 with what was thought to be a burst hernia. It turned out to be a superficial boil that the doctors drained and treated. She was admitted to Union County Hospital in room 219 and will be given antibiotics to combat the infection. It was actually an abscess that had burst. She had to undergo surgery the next day to clean the abscess area below the stomach and she did did well. Doctors said it would take maybe a couple of months to completely heal. She probably will get to go home after a couple of days in the hospital. Thankful it wasn’t any worse. UPDATE: 4-11-2019 Sister Dorothy Clayton is now at home after being in Pontotoc Hospital for about three weeks and doing fairly well. 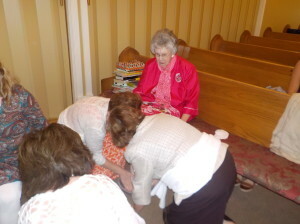 UPDATE 2-20-2019: Sister Clayton didn’t lay in bathroom as long as reported, She was there in bathroom from early Sunday night until about 4:00 pm Monday which is plenty long enough. She was dehydrated which caused thoughts of heart but tests so far doesn’t indicate this. She has had an ECHO and also has a UTI infection. Plans are to get her in a Rehab facility for some physical therapy. She is currently in Pontotoc Hospital (room 41) with hopes for an opening in rehab nursing facility nearby. Sister Dorothy Clayton evidently fell in her bathroom and spent two days and nights before anyone found her yesterday, February 18, 2019. A window had to be removed to get into the house. She was first taken to New Albany and then transferred to Tupelo. Obviously she was in bad condition just because of lying there two days without drink or nourishment but it is thought it may be her heart again that is causing trouble. Brother Gerald Whitehead fell recently and bruised himself up very badly on his face and foot and a gash on his head that had to be glued shut. He remains black and black and blue from bruises and has a large knot still on his head. Sister Urea Wise was in hospital two three days. She had been having sores on her ankle and toe that hurt so much she couldn’t walk. She was given antibiotics through an IV and a culture taken from the sores. The toe infection was non resistant staff and could be treated by mouth medication. The ankle could also be treated. She was discharged January 11, 2019 on the home hospice program so she can now get more medically monitored attention with all her health problems. However, She did not qualify for home hospice and is still on home health; however, she later did qualify. She is better. We pray for comfort and peace for her and those who are her caregivers of family and sitters and for healing according to the will of God. Brother Boyce Grisham, beloved brother and deacon at Bethany, passed away in Tupelo Hospital December 30, 2018 as the medical he faced became insurmountable. He was a faithful soldier of the cross and will be sorely missed. Visitation for the family will be at Bethany Church Tuesday, January 1, 2019 from 5:00 p.m. to 8:00 p.m. and funeral on Wednesday, January 2, at 11:00 a.m. There will be a meal served the family after the funeral and any graveside service. Brtother Boyce Grisham is now in Tupelo Hospital in Critical Care having been transferred from New Albany Hospital. The cellulitis infection in his leg had gotten into his blood stream causing various problems including high blood pressure and oxygen depletion. He has improved and the infection is subsiding and Drs are still trying to get fluid from his body. He is on oxygen continually at present and being evaluated by speech therapist to examine his swallowing ability before they give him food and drink. UPDATE: 12-29-18 Brother Boyce has gotten worse. He has been moved to a step down room 367; not because he has gotten better but for convenience of the family as medically he can be treated as well there as in critical care. If he is blessed to survive, it will be an uphill battle all the way unless God intervenes. Brother Boyce Grisham had to be taken to the Emergency Room December 10. He had fluid on his lungs and was dehydrated and he was admitted. Plans are to treat him for two or three days and try to strengthen him and then transfer him to re-hab for continuous therapy. Sister Shirley Robbins lost her sister, Joyce Doom, to death on December 7, 2018 after a battle with dementia. She was 87 years of age. Our prayers are with Sister Shirley and the family. Funeral was December 10 at Martin Baptist Church. UPDATE Joyce Trentham 11-08-2018: The fluid from Sis Joyce’s lung came back with indication of cancer cells. Blood work and tests show cancer most likely to be colon or ovarian cancer or both. Procedures to determine extent or any treatment would weaken her and might exacerbate the cancer. She has chosen not to do anything and enjoy what time the Lord might have for her. She is better and able to stay by herself at present and was discharged from hospital on home hospice. We keep her and her daughters, Melinda and Barbara in our prayers. Sister Joyce Trentham is in the Baptist Hospital in Oxford, MS as she was admitted on Friday November 2 with what was thought to be Pneumonia and fluid on one lung. Subsequent blood work revealed not Pneumonia but a bacterial infection in her blood. She has had about a liter of fluid removed from her lung and she is feeling better. Fluid and other tests have been sent of with a two or three day wait for results. Pray she get infection under control and case of fluid build up and able to be discharged. Bethany was made to rejoice on Sunday October 7 as Cathy Quarles came forward after services requesting membership via letter from Hopewell Primitive Baptist Church in Randolph, MS. She was unanimously received and given the right hand of fellowship. 10-23-2018: Brother Boyce Grisham is not doing well and has missed several church services. He hasn’t done really well since ha had the car wreck. Heart doctor says he is in AFIB about 50 percent of the time and has some fluid and has been advised to reduce his liquid intake. He gets out of breath just waling across the room. He is to see the heart doctor again in a week or so. Sister Urea Wise has another fractured vertebra in her back and is contemplating having another back procedure to insert cement to help relieve the pain. She has had multiple fractures and back procedures and has come through the procedures very well. She has been in a lot of pain although it has been better and of course she is on pain medicine. Whatever she decides to do, we pray the Lord will be in the matter and she will get relief from her back pain. She is able to get up and walk on a walker. September 17, 2018: Sister Urea Wise is in the hospital and doing fairly well considering she has been diagnosed with a blood clot in the lung and also has suffered a stroke. She also has a brain aneurysm but that may have been there for many years. Drs are putting her on Coumadin blood thinner and trying to get it regulated and hopes to get to come home very soon. She was discharged from hospital on Friday Sept. 21 and is resting better although her back seems to be bothering her again. August 30, 2018: Darlene Wray (sister of Sister Sandra Harlow) is in the hospital in Tupelo, MS and is very anemic. Doctors have given blood to build her up and tests are to be done to determine why she is losing blood and causing the anemia. Pray it isn’t anything serious. She has since been discharged and doing OK. The time has finally arrived for the knee replacement surgery for Sister Glynda Coker. She is scheduled for surgery Friday August 31. Pray the Lord will bless the surgical team for a safe and successful surgery and full recovery with minimal difficulty. She came through surgery fine and now for a successful rehabilitation regimen. She will be entering Baptist Hospital in New Albany for two weeks of rehab on her knee. The church has voted in conference July 15 to change their conference time from 3rd Sunday night to the first Sunday in each month to be held after regular worship service and before any lunch served that day. This schedule will not begin until the first Sunday in September 2018 and then first Sunday in each month thereafter. Hopefully more can be involved in any decisions that might come before the church. Sister Urea Wise has suffered another fracture of a vertebrae with the accompanying pain. She has had tests to see if she might once again be a candidate for back procedure to insert cement in the fracture as she did the first one. She suffered this just prior to her 98th birthday. Congratulations to Brother John Taylor Wise who successfully completed all four parts of the difficult national CPA exam. He is now a professional CPA and will be issued his license after a year’s supervised experience on the job. Brother Ronnie Huddleston’s brother, Aubrey Guy Hiddleston, passed away suddenly this last day of June, June 30, 2018. It was probably a heart attack in view of past conditions and our prayers are for Brother Ronnie and Sister Debbie and the rest of the Huddleston family in their loss. Funeral July 3 at Falkner Baptist Church at 10:00 a.m. Visitation Monday, July 2, from 5-8 at Ripley Funeral Home. UPDATE: Sister Dena sister (Betty Lovett) has passed away to be with the Lord this June 28, 2018. May the Lord give His grace to bid farewell to this gracious lady! Sister Deana Mae Wise’s sister, Betty Lovett, had a massive stroke the day after her birthday and she has been in ICU and the prospects aren’t looking good at present. Sister Deana had been to visit her on her birthday before she had the stroke the next day.Pray God’s will be done for healing and abatement of any suffering. Sister Urea Wise has been in a lot of pain because of a stress fracture of vertebrae (broken back) and she is scheduled to have a procedure to insert a type of cement between the vertebrae to cushion the pressure and hopefully relieve the pain. A patient her age has had the procedure and is doing well and we pray the same for Sister Urea. She has some member of the family with her all the time. She had the procedure done safely and now to se a good result we pray. 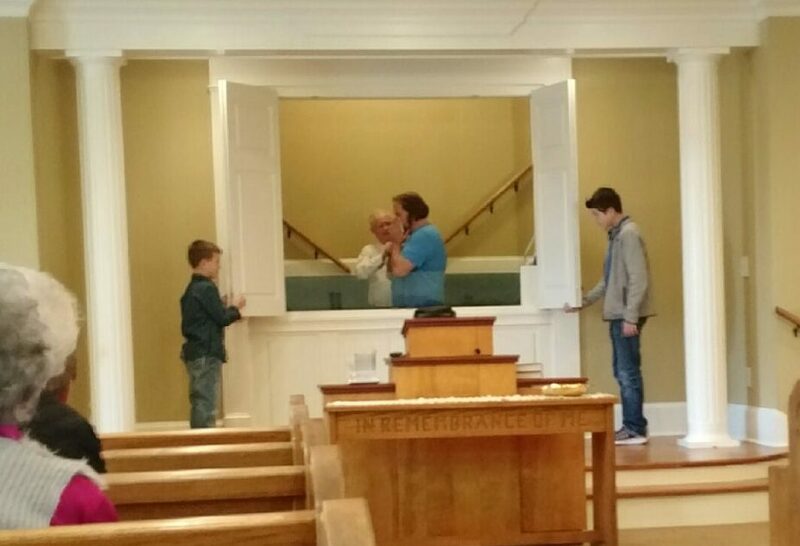 Bethany regrettably has to say goodbye to the Brother Jeremy Wise and his family as Bethany church members. They have moved their church membership to Antioch Primitive Baptist Church in Oxford, MS where Brother Jeremy is the Pastor. We love you all and pray the best for Brother Jeremy Wise, Sister Hillery Wise, Sister Katie Wise, Brother Jackson Wise and Sister Carol Anne Wise. UPDATE: Sister Urea has a stress fracture in her back that is pinching a nerve. She is being discharged today and to make an appointment with a neurosurgeon to see if she might be a candidate for inserting cement between vertebrae to relieve the pain. Sister Urea Wise is now on Pontotoc Hospital with some fluid on her lungs but not necessarily Pneumonia. She is to be transferred to Tupelo on Monday 6-11 to have an MRI on her back which has been very troublesome and her leg also. We pray nothing major will be revealed. Sister Glynda Coker is scheduled to have knee surgery on August 31 which is the earliest she could schedule it with her doctor. She will have some preliminary tests prior to surgery to see if everything is a go. Anna Lauren Parrish–High School graduate of Ingomar High School in Union County. Katie Wise–High School graduate of North Pontotoc High School, Ecru, MS in Pontotoc County. Joseph Wise–Graduate of South Pontotoc High School, Springville, MS in Pontotoc County. Lydia Holley–High School graduate of the MSMS school of mathematics and science in Columbus, MS. Sister Deanna Wise’s mother (Diane Browning) fell today (May 9) off a six foot ladder into a pile of lumber and had to go by ambulance to Union County Hospital. She has a broken left wrist, a broken and dislocated right shoulder and possibly arm. She is being put to sleep to put shoulder back in place and will be seeing an Orthopedic doctor afterward. Pray everything will go well in regard to any surgery and recovery from these injuries. GOOD NEWS: Sister Diane apparently will not need surgery for her broken shoulder according to latest x-rays but just therapy to recover. Sister Deanna Wise is scheduled to have elbow surgery in Tupelo, MS on Wednesday May 2 fro tendonitis in her elbow or otherwise known as tennis elbow. We pray everything will go well and she will be able to use that arm without pain again after healing. Surgery went well but experiencing a good bit of pain which was to be expected. Sister Dena Mae Wise is scheduled to have a heart procedure to repair a leaky heart valve on May 1 at UAB hospital in Birmingham, AL. Drs will go through an artery in her groin and attempt to fuse the faulty valve so the blood won’t back up which causes fluid retention and shortness of breath. Pray for safety and success for this dangerous procedure. She passed all the tests to indicate a good candidate for the surgery on May 1. She had surgery procedure on May 2 and did well as leaky heart valve was clipped together and only a 20% leakage now which is much better. She is to be in ICU overnight and likely to come home on May 3. Pray for uncomplicated recovery and much improved heart condition. Sister Dena Mae Wise’s son (Elder Jerry Wise) will have hip replacement surgery on Wednesday April 18. He has been having pain for quite some time and we pray for a safe and successful surgery and uncomplicated recovery. Everything went well an he was discharged the day after surgery. Sister Martha Wise had a heart cath on Tuesday April 3, 2018 and she only had a 30 percent blockage in one artery and about forty in another. This was not enough to do a stent so it is going to be treated with medicine. It still hasn’t been determined what has been causing her symptoms over many months. UPDATE: Brother Boyce Grisham had knee replacement surgery on April 3 and everything went well and he is to be in rehab therapy in hospital swing bed. He has done really well thus far and pray that it continues. He is home and having therapy there and doing well. Brother Boyce Grisham is now scheduled to have complete knee replacement surgery on April 3, 2018 and we pray everything will go well and he will have a complete recovery. He had to have his heart shocked again Friday March 2 as it was out of rhythm and is to see heart doctor to see if he is OK for coming surgery. UPDATE: Sister Deanna has discarded her neck collar and is back in church and doing better each day and the pain she had been experiencing is a great deal better after the surgery. Sister Deanna Wise had surgery today, February 27, 2018 in Marion, AR to repair some herniated disks in her neck and we are thankful to report that the surgery went great. Sister Deanna is expected to stay overnight and be discharged home the next day. Pain medication made her sick after the surgery but she is gaining slowly and having to wear a neck collar for 3 weeks 24-7 which causes a good deal of discomfort. We pray for a good recovery and relief of the pain she has experienced for quite some time. Sister Deanna Wise is scheduled to have surgery on the vertebra in her neck on February 27, 2018 in a medical facility in Marion, Arkansas. She is taking some muscle relaxers prior to the surgery and it has had some side effects but it helps the pain in her neck. Pray for a safe and effective surgery and it will alleviate the pain she has had for quite some time in her neck. Blood tests have revealed Sister Deanna has a rare blood bleeding disorder and is to have extensive tests to see if she can take medication to control bleeding prior to surgery. Hopefully she can take medication and everything will still be on board for a Tuesday 2-27-2018 date but right now that date is skeptical. 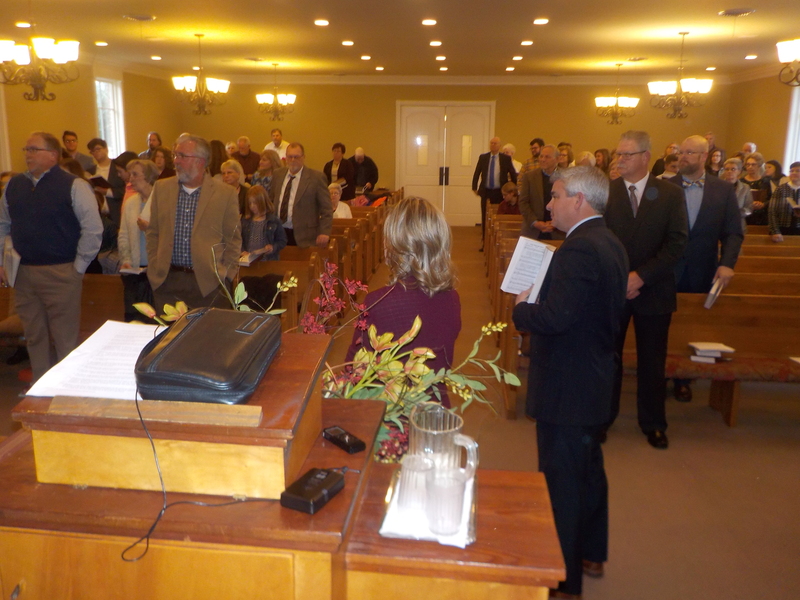 Bethany was blessed with a large congregation to share the occasion of the ordination of Brother Jeremy Wise to the work of the ministry on Sunday January 14, 2018 in spite of the wintry weather. There were 27 ordained ministers and deacons who sat in the presbytery to perform the official work of the ordination. 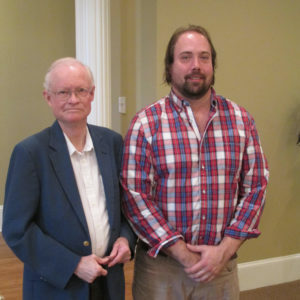 Brother Larry Wise was chosen as moderator of the presbytery and Brother David Wise as clerk to record all the proceedings. 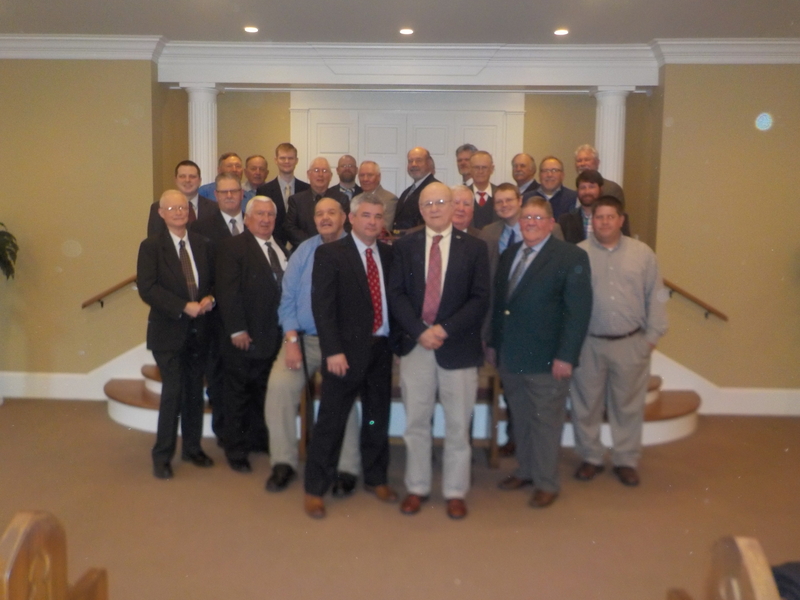 Brother Jerry Wise was chosen to question Bro. Jeremy on the articles of faith of Bethany church and his agreement with them and promise to stand by these articles in his ministry to which he agreed on all 13 articles read to him by Jerry Wise and Brother Larry Wise was chosen to deliver the charge as to responsibilities of the ministry. Brother Steve Weaver was chosen to pray the ordination prayer accompanied by the laying on of hands by the members of the presbytery. After the ordination prayer, Bro. 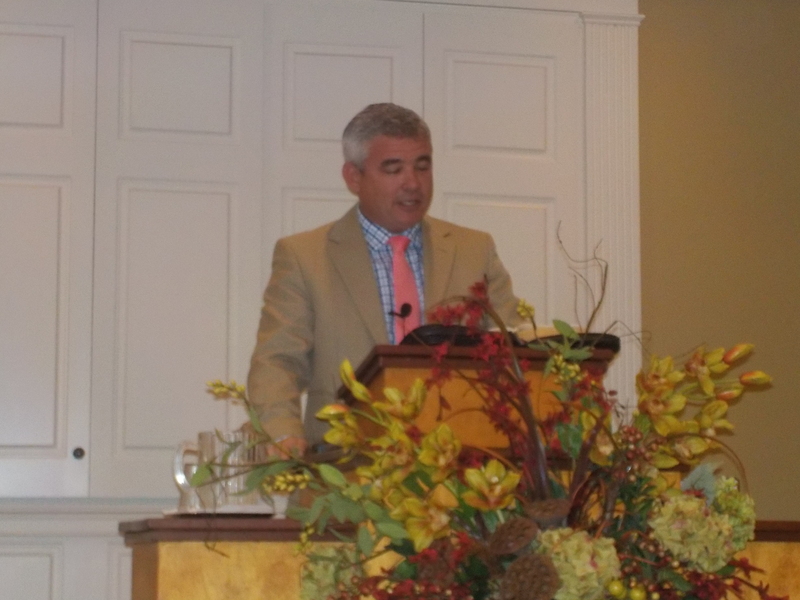 Jeremy and his wife, Hillery were asked to sit in from of the pulpit as Brother Larry Wise delivered the charge focusing on the calling to the ministry and responsibilities as a servant of the Lord, a steward of the mysteries of God, a soldier in the army of God, and a student of the word of God. Brief charge also given to his faithful wife Hillery and to the church, Antioch to which he has been called as Pastor. Brother Jeremy and Sister Hillery were given the right hand of fellowship and best wishes by every one in attendance at the conclusion of service and bidden God speed as they go forward. Brother Tony Langley was baptized at the conclusion of services on January 7, 2018. He had joined on Christmas Eve of 2017. We welcome him and pray god will bless him as he goes forward. Brother Langley is the son of Sister Sandra Wiesner. Bethany was blessed in Christmas Eve services Sunday December 24 with a new member. At the conclusion of services Brother Tony Langley came forward desiring to join the church, declaring his love for the Lord and belief in the doctrine of the church along with his admission of past mistakes but also ready to start a new course in his life. He was graciously received and will be baptize, Lord willing, on first Sunday in January, 2018 which will be Sunday morning January 7, 2018 after regular services. Brother Langley is the son of Sister Sandra Wiesner. Bethany Primitive Baptist Church has called for the ordination of Brother Jeremy Wise to the full work of the gospel ministry. His ordination is scheduled for Sunday afternoon January 14, 2018 beginning at 2:30 p.m. He has been called as pastor of Antioch Primitive Baptist Church in Oxford, MS and he has accepted the call. We pray the Lord will bless him in his new field of service to the Lord.